Ferraro And Palin — Most Exclusive Club Down To One Member : It's All Politics While it's often said that the current occupant of the White House and former presidents form the most exclusive club in American politics, Geraldine Ferraro and Palin were members of an even more exclusive club of two, women who were on major party national tickets. Now there's just one. While the club that includes the present occupant of the Oval Office and former presidents is often spoken of as the world's most exclusive club, there was an even more exclusive one, women who've been on a major political party's national ticket. Until Saturday, there were just two members — Geraldine Ferraro, the Democratic vice presidential nominee in 1984, and Sarah Palin, the Republican vice presidential nominee in 2008. 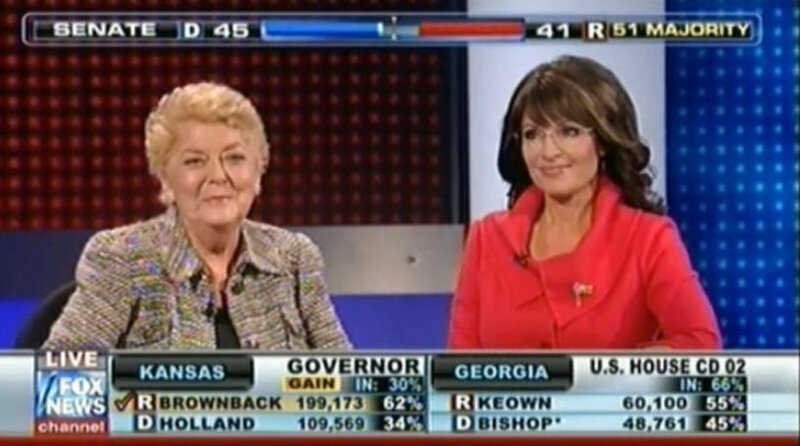 It says something about how difficult it's been for women to ascend to the loftiest ranks of American politics that 24 years passed between Ferraro, who died over the weekend, being on a ticket and Palin's historic political moment. Ferraro's passing and the tone struck by Palin was the rare chance for a mostly observed ceasefire in the partisan wars that mark American politics. The commenters on Palin's Facebook page carried her tone forward, generally speaking. RIP Geraldine. You broke ground as first female VP candidate. Walter Mondale is a decent man. We have been strongly supporting Ronald Reagan since Barry Goldwater days.